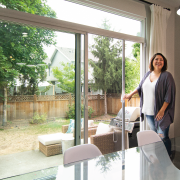 Retractable Screens Surrey BC at Magnif Window Coverings Co.
About Magnif Window Coverings Co.
Magnif Window Coverings Co. has been providing the Lower Mainland of British Columbia with high-quality screening products for over 20 years. We offer sales and installation of retractable screens and blinds and have many years of experience in the industry. Customer service is our top priority, as we acknowledge that our business has sustained on customer referrals, which goes to show the high quality of service we provide to every project. We represent Mirage Retractable Screens because they are competitively priced and are unprecedented in comparison to other products in the market. Mirage Retractable Screens are constructed with the highest quality materials that are built to last, we even cycle test our systems over 250,000 times, which is equivalent to 69 years of regular use! They are manufactured in North America and can be custom fit to meet your home’s needs. 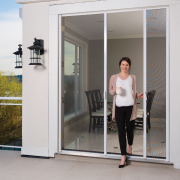 Whether you need to screen in a garage door or your double french doors, Mirage Retractable Screens have you covered for any of your screening needs! They come in 40+ different designer, standard, and wood-grain colors that are sure to match your home perfectly, and if not, we can custom paint to an exact match. Did we mention Mirage screens help cut down on your energy bill? 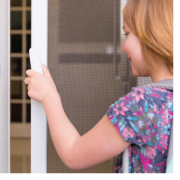 That’s right, our screen systems enable cross-ventilation in your home – naturally cooling your home while keeping those pesky bugs out! Call Magnif Window Coverings Co. today for a free phone estimate at 604-728-6240 or email them regarding any questions you may have about Mirage products! 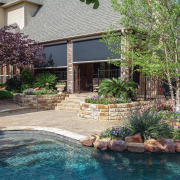 Magnif Window Coverings Co. – an authorized dealer for Mirage Screen Systems.